Other than that it's the same as the Premium with 9 lasers The USA version with the FDA approval. The New HairMax Laser Comb which now incorporates an updated, modern and innovative design with a rechargeable lithium ion battery. This new HairMax Laser Comb Pro 12 now has a user-friendly, sleeker look, and most importantly incorporates a cordless option that allows you to use the device anywhere you wish. You can now simply store your HairMax in the charging station provided when not in use and the device will be ready to exert its positive effects at anytime, anywhere. 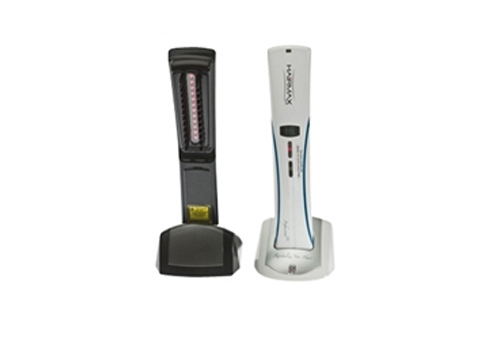 It is important to know that this newly designed HairMax Laser Comb still offers the same wavelength and high-quality lasers present in the predecessor HairMax Laser Comb. 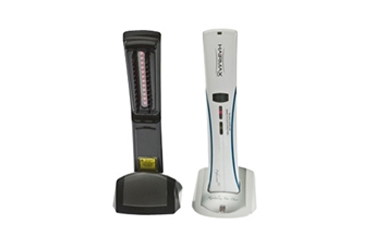 * Health Canada approved HairMax LaserComb to use as a medical device to promote hair growth for males and females. US FDA approves it to promote hair growth in males with androgenetic alopecia at this time. HairMax has completed a female study in the US and found that it has better results than the male study. They will submit the female study to the US FDA, and expect an approval soon.